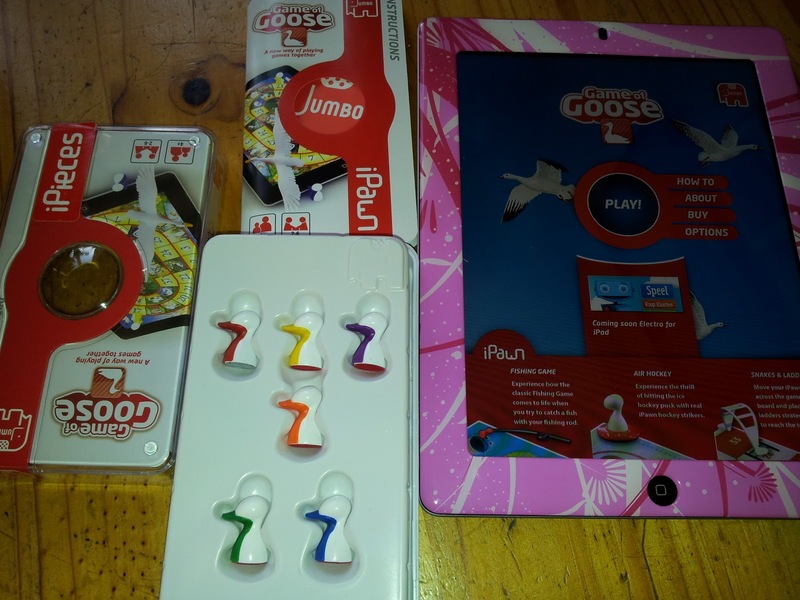 Jumbo Games are delighted to introduce iPieces which use innovative technology and interactive counters to allow up to six players to play family favourite board games such as Snakes & Ladders and Air Hockey on the iPad. These brand new products promise to entertain the whole family as iPieces activates amazing special effects on your iPad. iPieces has been developed alongside the downloadable app, bringing each game to life through stunning visual animation and entertaining sound effects. These games can be enjoyed at home or on car journeys, making iPieces the perfect addition to any iPad. No time for missing pieces and dice? iPieces are easy and practical to transport, making them the ideal travel companion. 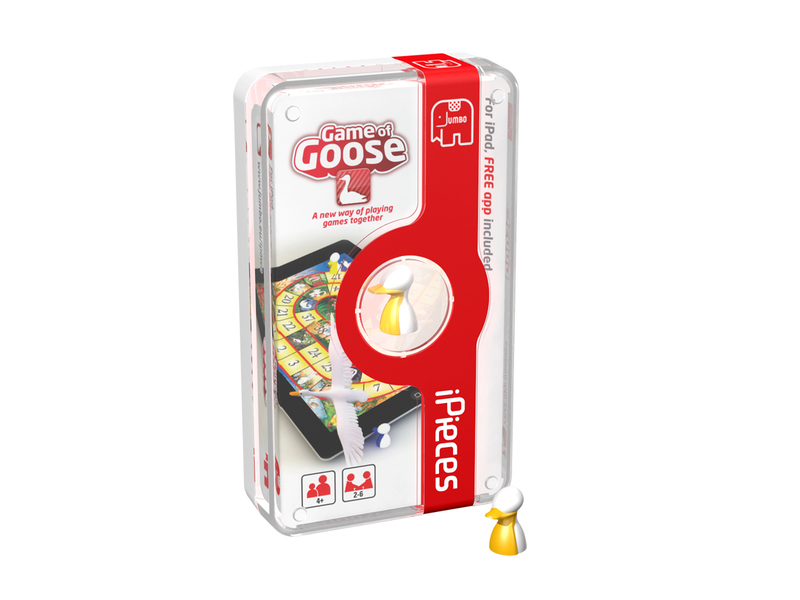 Taking the classic board game to a whole new level, iPieces brings games back around the table. They are Suitable for children aged four plus and priced at £9.99 (RRP), iPieces include a free downloadable game application and are available in WHSmith Travel, The Entertainer and online at Amazon.co.uk, Firebox and Play.com from January 2012. We played our game after our Sunday dinner and really had a great time. It's a simple game but lots of fun. The animations are lovely, there's a lovely bright board with 39 spaces on it to move around with your goose piece. The dice is a touch to roll feature which is very clever. No more losing your dice with this game. I played with my two daughters and Grampy the first time. It really is suitable for all ages, both young and old. We loved the pop up features when you landed on certain spaces. Some sent you forward, whilst others sent you back. You could get too roll again or even miss a turn. We had lots of family fun, it was a great way to get us all together and so simple to play. We gave the Jumbo iPieces games a huge and very well deserved 5/5. They're great fun and fantastic value for money. At just £9.99 I will definitely be looking at getting some of the other games in their range very soon. 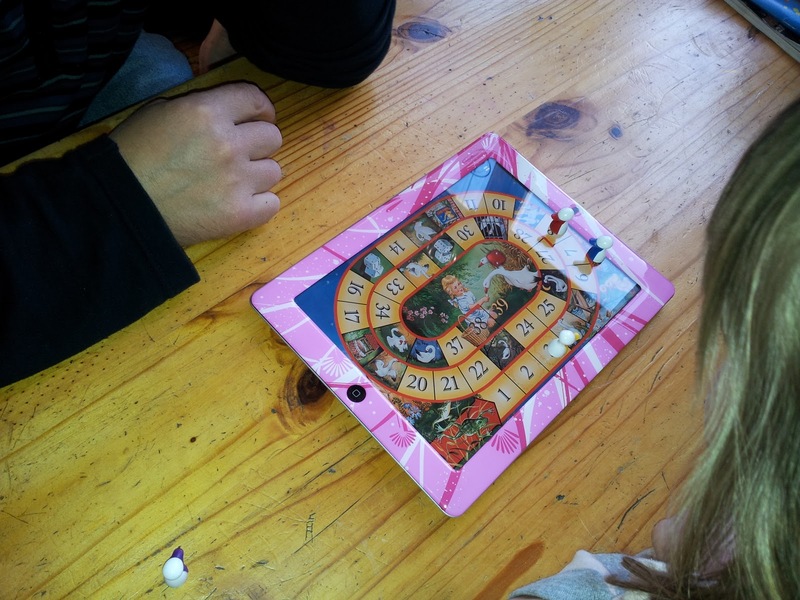 There is also Snakes & Ladders, Fishing and Ice Hockey. They all look great. I wonder which one we shall buy next?